This year, the A' Design Award and Competition has announced its call for entries for the A' Advertising, Marketing and Communication Design Award. The A' International Advertising, Marketing and Communication Design Award is organized to select and honor excellent advertising designs from advertising companies, marketing companies, creative directors, consultancy companies, communication designers, creative agencies and advertising agencies worldwide. 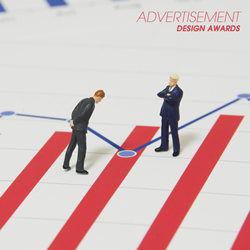 The A' Advertising Design Award is a two-step competition which the first step is to register and submit advertising design works at A' Design Award website for complimentary preliminary screening. In the second step of the award competition, submitted projects that pass preliminary screening could proceed with nomination for final evaluation by the grand jury panel. Laureates of the A' Advertising Design Award and Competition will be awarded the A' Design Prize which contains a series of PR, marketing and publicity tools to promote the awarded works. Laureates will receive a certificate and trophy, a lifetime license to use the award winner logo, get published in the yearbook of excellent designs, inclusion in the World Design Rankings, Best Designs of the World and World Design Consortium, and also exclusive invitation to the A' Design Awards’ Gala Night and Exhibition in Italy. Final deadline for entries to the A' International Advertising Design Award is on March 30, 2019 and results of the competition will be announced on April 15, 2019. Interested designers, agencies and brands could register and submit their design projects at https://competition.adesignaward.com, where further information regarding the competition such as evaluation criteria, dates and fees, jury panel, entry forms and presentation guideline could also be obtained.